The U.S. Navy commissioned its latest Arleigh Burke-class destroyer, the U.S.S. Gravely, on Nov. 20, 2010, in Wilmington, N.C. The ship honors Vice Admiral Samuel Lee Gravely Jr., the first African American to command a Navy warship. About 4,000 sailors and guests attended the commissioning ceremony, held at the North Carolina State Ports facility. 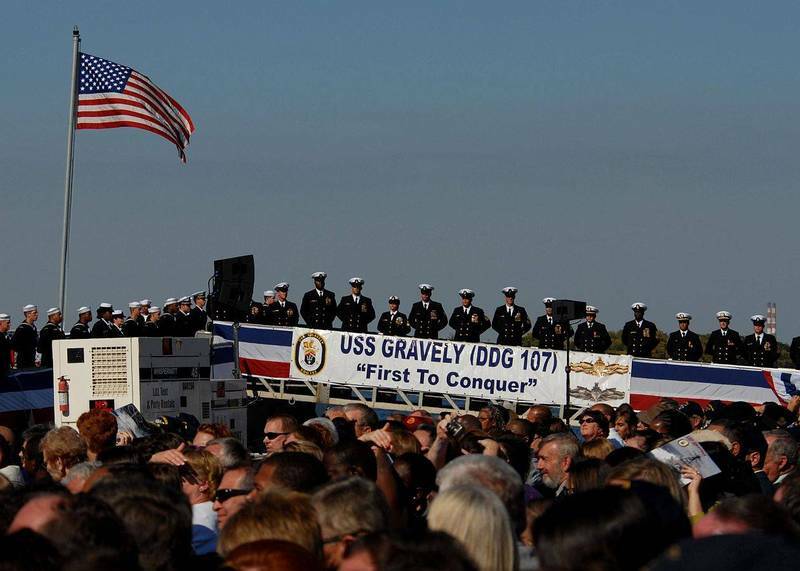 The audience included friends and family of Gravely himself, including veterans who served with him on the U.S.S. Taussig, which he commanded in combat. Gravely died in 2004. Community leaders plan to gather today in the African-American Cemetery for the first time to honor 22 black veterans buried there. 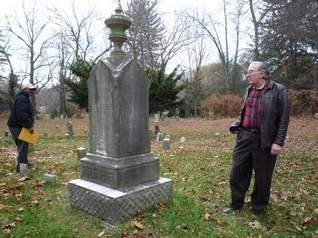 They also hope to generate interest in their effort to restore the Civil War-era burial ground, which is listed on the National Register of Historic Places and sits next to Greenwood Union Cemetery on North Street. The ceremony starts at 10 a.m. Among the shrinking pool of World War II veterans still alive is a group with two war stories to tell. One is about patriotism, dedication and becoming war heroes. The other is of doing the same thing, but in a segregated military where black troops fought in different units than white troops, with whites at the highest ranks, even though their blood spilled the same. In addition, the NAACP will showcase an oral history project, featuring the veterans, created by Hillhouse High School. A new exhibit is focusing on the everyday lives of African-American soldiers who trained at Camp Shelby during the Second World War. The exhibit is called Archaeology of the World War Two African-American Barracks and it’s on display at Hattiesburg’s African-American Military History Museum. The exhibit features about 100 artifacts excavated in the last 5 years from former barracks areas at Camp Shelby that were occupied by black soldiers in the 1940s. It also features photos of life at the post during the same period. The exhibit runs through the month of October. The United States Marine Corps gave Col. Gail Jennings an opportunity to excel. Jennings is one of only four black women who have the rank of colonel in the history of the U.S. Marines. This summer, Colonel Jennings retired after 34 years of service to the country. As she finished high school, Jennings began to think about the military. 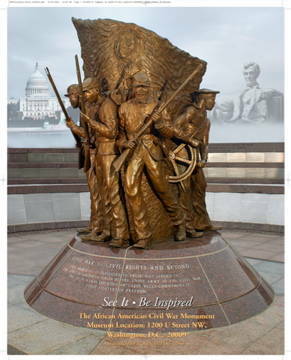 The African American Civil War Museum in Washington, D.C. is preparing to close its doors at its current location and presented its last civil war soldier – David Carll of Oyster Bay, on Aug. 7, 2010. It was Aug. 6, 1945, and as fire raged below him, Lonnie Walker, a soft-spoken 23-year-old U.S. Army paratrooper from rural Louisiana, plunged into the high canopy of trees and jerked mightily as his parachute snagged on a limb. Suspended, he tied one end of a 150-foot-long rope to his harness and dropped the rest of the length to the ground. Slipping out of his harness, he slid down the rope and began fighting the fire. 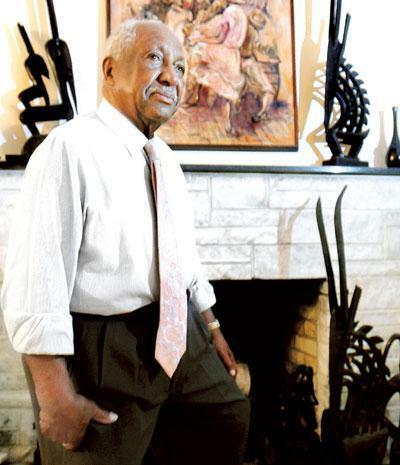 One of Walker’s comrades, a medic named Malvin L. Brown, was not so fortunate. 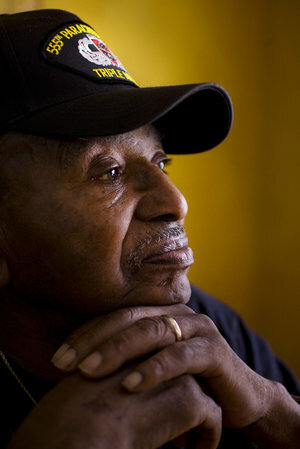 Walker was a member of the first African-American paratrooper battalion, the Triple Nickles, 555th Parachute Infantry.